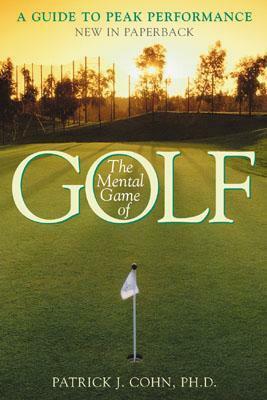 The Mental Game of Golf by Patrick J. Cohn, Ph.D. explores how our psychological well-being affects our performance on the golf course. Cohn discusses a range of emotions that affect one's ability to play to one's full potential. He focuses a lot on the individual component of the game. Much of what he discusses will make sense to anyone who has ever played golf and felt either frustrated or surprised by the day's performance. I'm not sure if anything I read will improve my game, but Cohn's examination of how often we create the play we envision rings true with me. Anyone struggling to find their stride on the golf course may find The Mental Game of Golf an interesting read.